The sound of basketballs dribbling, the echoes of athletic banter and feet pounding the court fill the gymnasium. But when you open the doors to the Highland Recreation Center's basketball court, it isn't the typical image of a basketball team not only taking, but making shots. These are the ladies of the "Red Foxes," a senior basketball team that is home to an array of players between the ages of 50 to early 82. HICKORY, N.C. -- The sound of basketballs dribbling, the echoes of athletic banter and feet pounding the court fill the gymnasium. But when you open the doors to the Highland Recreation Center's basketball court, it isn't the typical image of a basketball team not only taking, but making shots. Salt and pepper hair, a couple of knee braces and some pretty sweet headbands are a blur of motion in the multiple games of three on three. 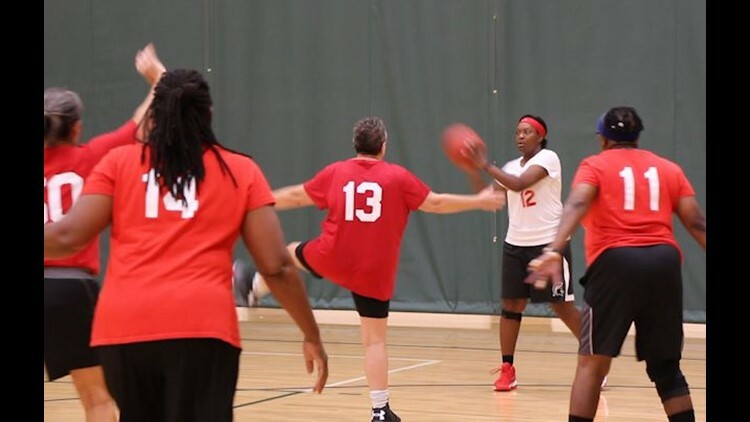 These are the ladies of the "Red Foxes," a senior basketball team exclusively for players over the age of 50 that compete in the Unifour Senior Games. And perhaps the biggest takeaway of all is that they're pretty darn good. 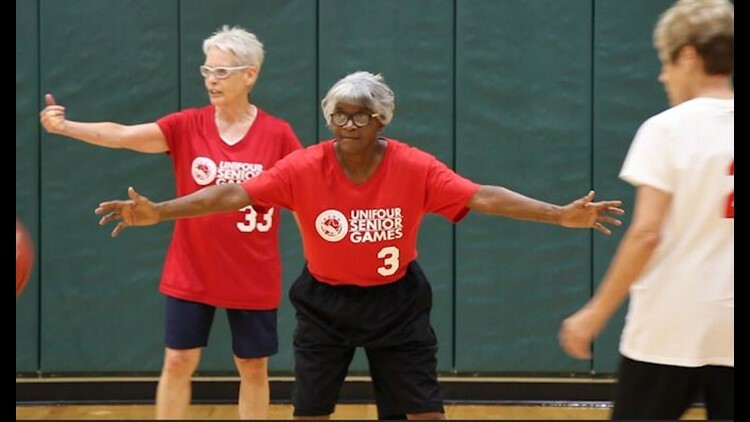 These women, ranging between the ages of 50 to 82, are proving that age is just a number, dunking and dribbling their way to a sisterhood in the process. Most people cringe at the thought of adding more candles to the next birthday cake, but that certainly wasn't the case for Coach Isbell. Isbell began coaching the Red Foxes 10 years ago (becoming the head coach five year ago) but due to her under 50 age status, she couldn't play. That was until May 24, 2015, when she crossed her mid-century birthday. "My high school students were like, 'Ms. Is, you're the first one we've ever known that can't wait to turn 50!'" Isbell said. Isbell's love of the basketball is obvious. 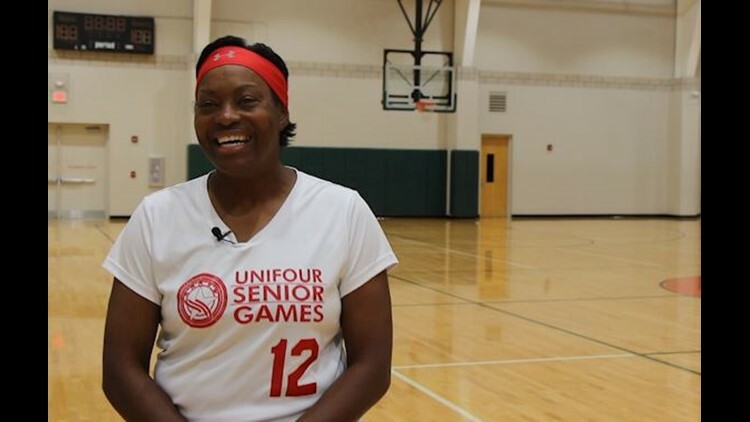 She serves as both the assistant basketball coach for the high school she graduated from as well as head coach and player of the Red Foxes. Whether the player is 18 or 85, you can bet Coach Isbell will be giving tips on improving their game. "I get teenagers and senior ladies and there's lots of similarities, and lots of differences," Isbell said. As for the Red Foxes, Isbell is the head coach of all the players, which are separated into teams categorized by age, from 50 - 54, leading all the way up to 79. For the first time in their history, the team is excited to add on an 80 age group in the coming year. For Isbell, it's particularly special as her mother, who is also a player, will soon be turning 80. Isbell says she lives by the motto, "We don't stop playing because we grow old. We grow old because we stop playing." 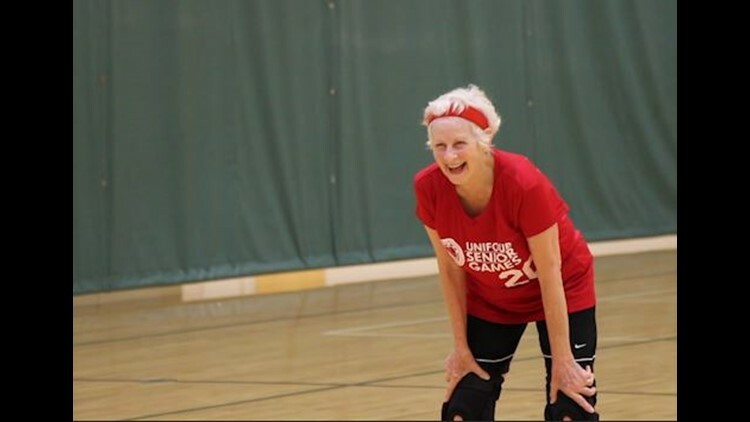 Seeing the women she loves take to the court at any age is inspirational to her. "We're family. We're prayer warriors for each other, we send cards, we visit, it's more than just basketball," Isbell said. "We love each other... we care for each other beyond the court, but the foundation is the love." Rachel J. 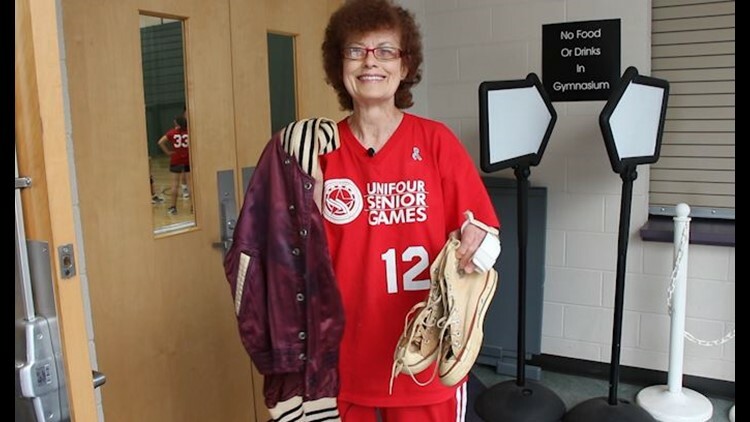 Church's is one of the Red Foxes' remaining two original members, joining the senior women's team at age 70. But 12 years with the Red Foxes is just a blip in Church's lifelong love affair with basketball. Church has played basketball since her high school years, back when converse were the sport's shoes of choice and her varsity letterman's jacket was royal blue. "In college I played inter mural, at that time women could only play intramural so I played for four years of college," Church said. She also assisted organizing a basketball league once she was had completed her college degree for a group of women in Knoxville, Tennessee. "On the way home we'd buy a box of Krispy Kreme doughnuts!" 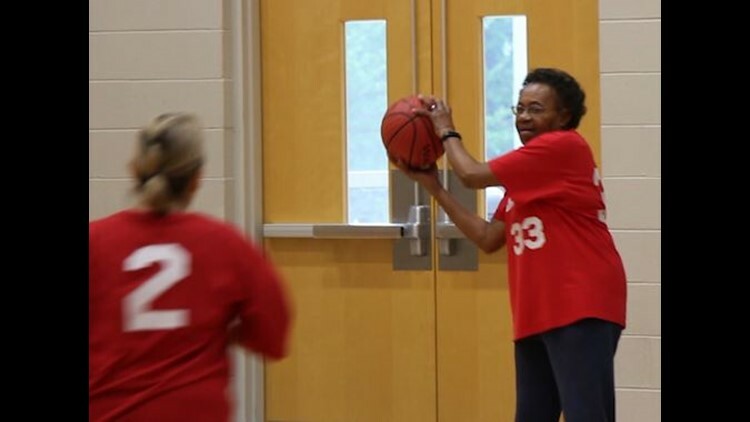 While Church got her children involved in basketball, she says she never dreamed she would still be playing at age 82. But Church isn't only just playing, she deems herself as the Red Foxes recruiter wherever she goes. "When [potential players] start telling me about their ailments and how old they are I say, 'Well that's the way we all are!'" Part of Church's desire to recruit new members is out of her love to continue what most regard as the Red Foxes family. "It's a comradery," Church said. "We are different in a lot of ways, lots of backgrounds, but we are joined by a love of basketball and love of each other." With an impressive basketball resume, it's easy to see why Drema Greer is a nightmare to face-off against on the court. "I played locally in high school, then went to Anderson Junior College where we won a couple national championships, then I went to Clemson and played on a scholarship there," Greer said. "Then I played just a little bit of pro ball. That has all been a long time ago." 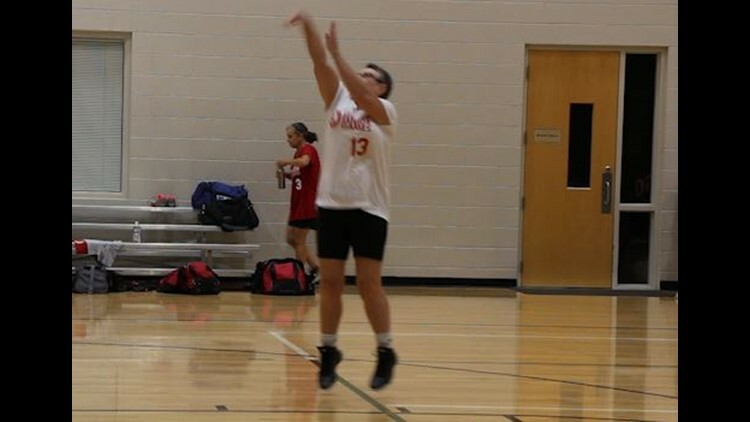 If Greer could guess where she would've been later in life, she wouldn't have guessed on the court. Rather, she thought she'd be coaching from the sidelines. While she did serve as a college basketball coach, Greer says her true passion is right in the midst of the game. "It's a whole lot more fun playing than coaching." But what's even more important to Greer than the game? "It really is an extended family," Greer said. "I think that's probably more important than the actual physical aspect of the game because we just enjoy it so much." That's why Greer encourages anyone to come and join the Red Foxes family. "If you can move and you can catch a ball for the most part, you can come out here and be a part of our group," Greer said. "It's kind of the same as what Oprah says, she says you just have to move... something is better than nothing and so we come out and we do what we can do." 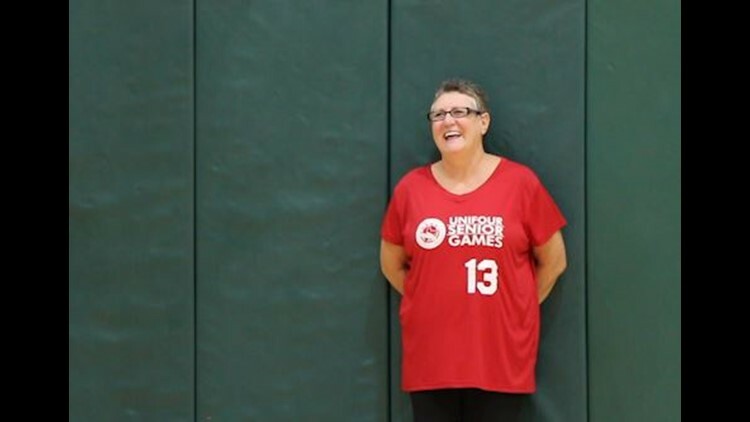 As the mother of Coach Isbell, Jean Glass was inspired by her daughter to pick up a basketball for the first time at age 69 in 2007 when she joined the Red Foxes. "I always have to give [Karen] a hard time of course," Glass said giggling. "But she is a joyful person and I might be biased but she is just the perfect coach I would say." As Glass embarks on her tenth year with the Red Foxes, she says she has learned an enormous amount about patience and friendship. "We have so much love on the team between the players," Glass said. "It's like a big family, we just play and have fun and love each other." With practice four times a week, Glass keeps a pretty strict regiment. "Most of the time I make the practices! I won't say always, but most of the time I do."